A day of yoga and transformation in Kripalu Yoga Center. 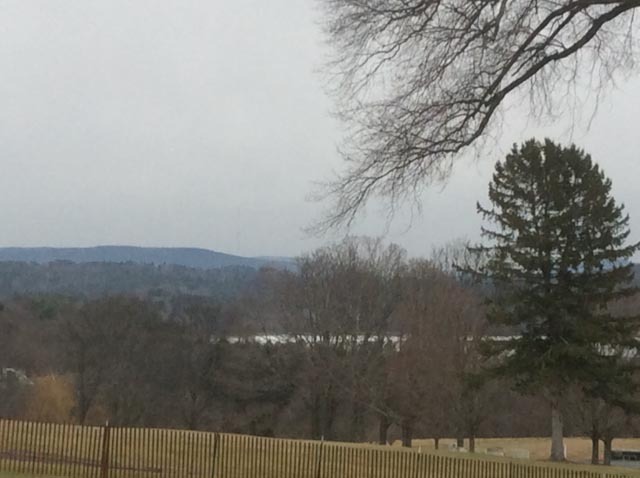 The first time I went to Kripalu Yoga Center in Berkshires for a two-day yoga retreat last October – I knew that I would be back soon. And I was- on a Sunday right before the New Year’s. This time I went with a girlfriend for a day program- and now hope that it is a start of a New Year’s tradition. As one unidentified New-Yorker has put it on the Tripadvisor, Kripalu is a place where a yuppie becomes hippie – for a weekend. And while he meant it in a negative “New -Yorker” way, I can see nothing wrong with such wonderful and immediate transformation. Where else, but in Kripalu in the course (and may I add, AT THE COST!) of one day ($100 off-season; $120 in the summer) you take a journaling class, a breathing class, a chanting class, a dancing class, a meditation class, a (gentle/moderate/vigorous-your choice!) yoga class, finish it off with sauna/whirlpool time, and – get to enjoy 3 healthful and delicious meals! The truth is, Kripalu is a place where you could really be…whoever you want to be! It somehow manages to combine a spiritual with casually modern and comfortable – for a real ”feel” of a …retreat! (I do have to disclaim that the Spartan style sleeping rooms do not contribute to this “feel”- but with such a busy program- you don’t get to spend a lot of time in the room. You could also stay in a nearby motel- like we did on this second trip- the night before our Day Program. You can still eat your meat here (well, maybe not red meat), giggle with your girlfriend through a particularly unusual chanting sound (that is -if you bring one -or two- with you, although many enjoy the Kripalu experience SOLO), wear your tight (no hippie clothing required!) lululemon yoga pants, and even text (well, you will have to hide the phone in your bag- they do ask to limit the use of electronics to the designated areas)- and- still- emerge renewed and refreshed ( if not entirely ready for the 2+hour car trip home). And if all this is not enough- I personally would be back for the magical mountain and lake views alone! (the couples seminar in a brochure also looks interesting….). 2 Comments to “Hippie for a Day.